Thirty-six people work at 37signals. Only six of us don’t have iPhones. Out of the six of us, three have Androids. I just recently became one of the Android minority. I’ve been a die-hard “Apple evangelist” for over twenty years — first an avid Mac user, then an early adopter of both iPod and iPhone. In the 90s, when everyone I knew used Windows, I tried to switch them to Mac. In the 2000s, when everyone had Creative-brand MP3 players, I tried to switch them to iPod and iTunes. A few months ago I switched from iPhone to Android. Now the running joke is that I’ve become an Android evangelist. I know what you’re thinking: iPhone does this perfectly well. And it does, to a point. With the iPhone, I had problems with Bluetooth streaming. While driving I’d play something from my iTunes library via Bluetooth. The music would stream from the iPhone to the car stereo. Absolute magic. Sometimes I’d switch to Spotify for the Radio feature. Again, awesome. Exiting and entering the car then reconnecting via Bluetooth, however, would reveal a quirk. iPhone always defaulted to the iTunes library. It didn’t matter if I was listening to Spotify when I left the car. Once I got back in the car and the Bluetooth connection was established, bam iTunes. Thanks iPhone, I don’t want iTunes now actually. I want Spotify. I’m also an iTunes Match customer. iTunes Match is Apple’s “cloud music” offering. That means the music doesn’t have to physically be on the iPhone. When you play a song it will stream from the iTunes Match “cloud”. The problem with this is sometimes iTunes Match flakes out. In my case it would flake out quite a bit. Sometimes it would take a while to authenticate. Sometimes it would hang on a song because of buffering. This wasn’t a huge annoyance for me though. Twenty years of using Macs conditioned me to think, “well, that’s the Apple way.” It’s such a small price to pay for such a user-friendly device. Besides, why does this annoy me? I should be grateful. This is incredible technology. Apple is probably working on a fix with iOS 7. It’s not a big deal. When I first connected Android to the car Bluetooth I thought, “wow, that was 5 minutes faster than the iPhone.” Most importantly, Android appreciates that I use different apps for listening to music. When I listen to Spotify, exit and enter the car and reconnect via Bluetooth, Android still serves up Spotify. 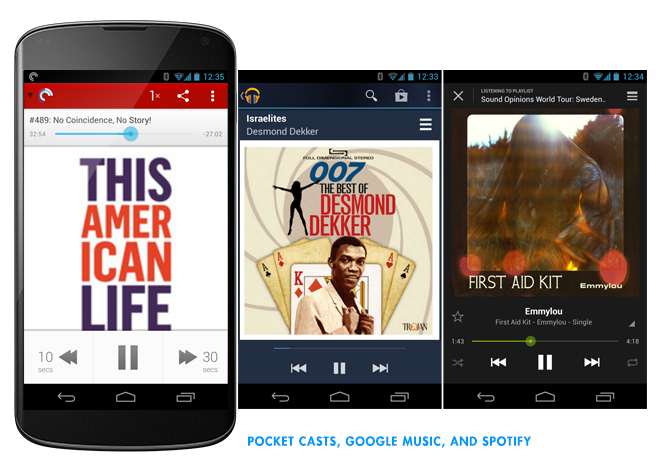 Google’s cloud music offering also seems to work better than iTunes Match. There’s less start-up lag. Google will even allow you to add up to 20,000 songs from your iTunes library for free. For example, I pre-ordered the new David Bowie album exclusive to iTunes a few months ago. It was downloaded this morning on iTunes. In less than a minute I’m listening to it on Android. Between Google Music and Spotify I’m pretty well covered. What started as a small annoyance on the iPhone became an eye-opener on Android. Since the introduction of the iPod and iTunes, I saw Apple as a leader in the world of digital music. While my iPhone music problems were minor, I had assumed there simply was no better way other than the one Apple had designed. Yet here was Android doing it just a little bit better. Maybe Apple didn’t have it figured out after all. Unfortunately that wasn’t the case. Every photo I took with my iPhone stayed on my iPhone, but was also copied to my computer. Each iPhone picture takes up space on every one of my devices. The more pictures I take, the more space it takes up. What I thought was a convenience was actually an annoyance. Photo Stream is actually confusing when you think about it. The photos are uploaded to Apple’s servers, but they don’t stay there. Apple’s servers merely broker the transaction between devices. Worse yet, Photo Stream doesn’t work with videos. I took a video of my 4-year-old doing a perfect cartwheel. It was awesome. But it’s stuck on my iPhone. Every image and video I take with Android gets privately uploaded to Google’s servers into my Google + account. 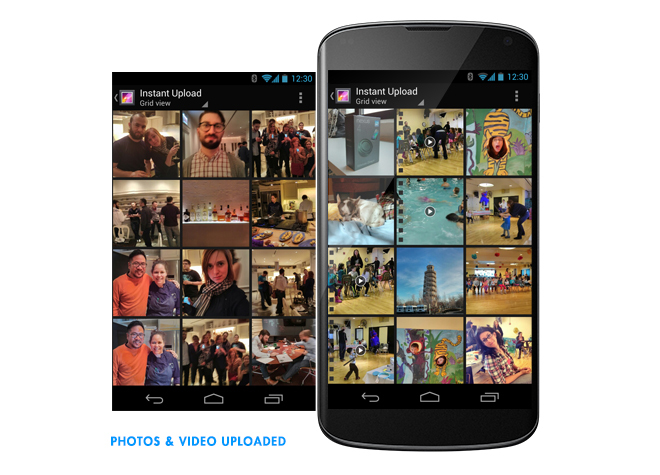 It’s instant backup of all the photos and videos I’ve taken with Android. All of these photos and videos are browsable from the Gallery app. I can safely delete all my camera roll images to free up device storage. The best part is that the images and videos are browsable from all my devices and they take up zero storage. If I want I can download a high res version any time. Android lets me keep taking photos and videos of my family and friends. It doesn’t force me to download every photo onto my computer like Photo Stream does. Google even organizes those photos and videos for me on their servers (sorted by date). Android allows me to browse them without downloading. It works the way I had hoped Photo Stream would. I believed Siri was the future when I saw it work for the first time. Are you kidding me? I can ask my iPhone something, and it’ll tell me the answer!? That’s sci-fi awesome. Siri might well be the future, but I think the approach is slightly off. Android has a Siri-like trick. You can ask what the weather’s going to be like. You can ask about baseball stats or restaurants nearby. I was in the Chicago suburbs having my car serviced. It was getting close to afternoon rush hour. Traffic in Chicago during afternoon rush hour can be fairly unpredictable. At 2-3:00pm roads can be jammed, or they might be fine. As I left the mechanic Android notified me: 30 minutes to Home. Take this route → Sure enough, Android told me what route to take to avoid traffic and I got home in 30 minutes. I didn’t have to ask. Android knew. Android proactively tells me about my friends birthdays, if packages from Amazon have shipped, when to leave to get to an appointment on time. I haven’t had to ask Android anything. The Android assistant knows what I want to know, and when I want to know it. Skynet becomes sentient when? I was trained to believe there was only one way to have a top-notch smartphone experience: buy a $300 phone from Apple and sign a 2-year $90/month contract with AT&T. Then I took some time to think it through. That’s a lot of money to pay for the convenience of checking Facebook, texting friends, and listening to music in the car. I’m sure you’re reading this saying to yourself, ”$90/month? That’s nothing.” Sorry, you’ve been conditioned. With Android (and T-Mobile) I killed my contract. Now I pay just $30/month. For $30/month I have unlimited texts, unlimited data, free tethering, and 100 minutes of talk (I average 30 minutes of talk every month). That is 1/3 the cost of iPhone. I haven’t had any coverage problems in Chicago. I’ve told you the 4 reasons why I switched. I’d like you to switch too — or at least give Android a real try. I run in some heavy iOS-user social circles. You might too. As makers and builders we need to stretch out a little. We need to get some alternative stimulation. Apple has had a lock on us for a good while. The other side isn’t as scary as Phil Schiller, Senior Vice President of Worldwide Marketing at Apple, would like you to believe. It’s actually quite nice. Jamie wrote this on Mar 12 2013 There are 55 comments. Where did you get a 30/mo plan with T-mobile? I see 50/mo as the lowest non-contract plan with them. Yuri, if you’re near a T-Mobile store go in and ask them about it. Tell them you know someone (me) that was able to get that plan without buying a phone from them. It’s pay as you go: $30/month unlimited data/text. 100 minutes voice. Nice article :) which launcher/icon pack do you use ? I’ve been sharing this story, too. I haven’t really evaluated the individual apps and features that make a difference. It was a bigger realization for me. I don’t use the phone all that much (and maintain a landline for business calls). I try to avoid taking the iPhone with me when I’m out and about, especially with my family/kids. My iPhone was my “evening device,” for reading RSS, catching up on Twitter, etc. When I put it down, it’d be to swap it with my original iPad for watching Netflix. I’ve had a Nexus 7 here since last summer. I got it for QA’ing websites. It was clunky to me at first, but this year I decided to give it another try for Netflix watching. If I shut down some background processes and cleared open apps, it worked really well. And it’s the right size. I soon found that the Nexus 7 not only replaced the iPad for watching Netflix, but was able to replace all the stuff I was using my iPhone for. I still find some of the iPhone apps I relied on to be more refined, but I realized I was tired of keeping up with “the experience” and that these things had become utility to me. I want to pick up something and get the content, quickly, and, for me, the Nexus 7 with Android has been covering all the bases. In some ways, quite well. I’ve found app switching and sharing across apps to be much more efficient and optimal, as Andy Ihnatko covered in his recent series of articles documenting his switch from an iPhone to Android on a Samsung phone. I wish the build quality on the Nexus 7 was a little better. I think that should be achieved at the same price point. I wish the battery lasted longer. But this fellow diehard Apple user is open to buying an Android phone the next time around too. Good to see you tried the other side. I’ve been advocating this way of life for a few years: try and own something from every area of the market and you end up learning a lot about different ways to solve problems. It also helps you see through the marketing spin some of these companies like to throw at you – you know what’s true and what isn’t, because you’ve seen both sides of the story. 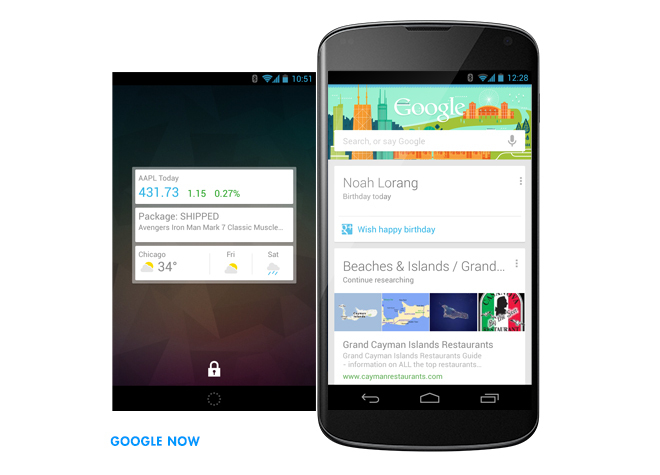 Funny reading you say “Android doesn’t tell you…” when referring to Google Now. One thing I’ve noticed Google doing lately is slowly working away the “Android” brand and moving more towards a Google one. So I think of Google Now in terms of Google. Google told me something, Google helped me get home, not Android. Even saying the word “google” when Google Now is up makes it respond to you. There’s an interesting opportunity there for Google itself to become your friendly neighborhood android. Jamie, which device are you using? Android phones vary wildly in feature sets based on manufacturer and carrier. From your previous comment it sounds like you didn’t get it from T-Mobile? @cava: I’m using Nova Launcher Prime, Minimal MIUI Go Apex Theme icons. Eye in the Sky weather widget. Circle Battery widget. Fixed Clock widget. To be honest this is probably the worst part about Android. I can design a better phone than iPhone, but I have to customize it a bit. Doesn’t take long, just that normal people probably won’t do that. @Rick: I got a Nexus 4 directly from Google. It’s unlocked and will work on your current iPhone contract with AT&T. Just remember to restart the device when you pop your iPhone SIM in. If you don’t like the Nexus 4, you can put the SIM back into your iPhone. No contracts, nothing has changed. I would like to add; It’s nice to pick a default application for videos, web browsing photo editing. Like a big person! One double edged sword is that there is an option for EVERYTHING it could be too much at first. And lastly did you and will you – root? I was hesitant at first but totally embraced the Android eco-system and am happy to not have to rely on carrier updates. @Mark: Thanks for sharing your story. That has totally been my experience! @jr: I have not rooted yet….. I am thinking to switch to Android. Which android phone should I choose? There are so many of them, I am not sure which one is the best? Many of my friends are actually recommending Samsung. What do you think? I am an iphone/ipad user that also has a Nexus 7. I got it because I couldn’t stand the non-retina display of the iPad mini. I wanted to try out Android and heard rave reviews about the Nexus 7 and the price was right. I have to say it is a nice device but things like “If I shut down some background processes and cleared open apps, it worked really well” happen to me all the time. I can get it to work if I… Is a common theme with the Nexus 7. I use Apple devices because they mostly just work without the if I…. Sure I have a love/hate relationship with Siri and Photostream but I am constantly amazed at the quality difference between iOS and Android apps even if they are the same app. I love the competition Android brings and do look forward to iOS 7 and whatever the next dessert Android serves up. I will however punch whoever let the Nexus 7 ship with the power button right next to the volume buttons if I ever see them. It’s nice to read a switcher story that isn’t all about somewhat open vs. mostly closed. I’d be curious to hear about four things that you don’t think Android does better than iPhone. When arguing about limiting names, you should compare Android with iOS, not with iPhone. Yeah. I thought this too before. But if you read Ihnatko’s articles too, it’s not that big a deal if you’re inclined to work this way and adopt a few habits. I’m using the Nexus 7 at home. I turned off Location Services. There’s actually this handy little bar on the screen to toggle different things that impact battery life – Refreshes/checking for updates. Brightness. Location Services. I ALWAYS had brightness turned way down on iOS, and I turned it down here as well. I turned off Location Services, unless I need them. I may have turned refreshes/updates back on. The app switcher makes it really easy to close open apps, and switching open apps seems more responsive to me than on iOS, so it’s a tradeoff. If I’m going to watch streaming video, I quickly swipe all apps closed first. That’s the only time really. My Nexus 7 has one edge loose around the screen. That really bugs me. That’s an Asus thing, and it shouldn’t be that way even at the lower price point. I use about 45% of the battery in an evening, so I charge it daily. My iPhone & iPad would go a good 5 days without needing to be charged. That annoys me. Interesting to hear another “switcher” perspective. While my initial motivation for switching was cost ($350 phone + $30/month service, what? ), I’ve also come to enjoy other aspects of Android. Auto-updating applications and superior text input are two small things that I really love about the platform. Committing to ”$300 + $90/month for 2 years” is the dumbest way to have an iPhone. A brand-new, unlocked iPhone starts at $450. Match that with the cheapest plan you can find (~$30/month) and you’re both saving money ($1170 vs. $2460 over 24 months) and avoiding carrier lock-in. As a bonus, you can use the phone abroad by buying a local SIM. Not a single Windows Phone user? I’m disappointed. I find it so hard or jarring to go back to an iOS or Android device for the things I use mobile devices for. @Jeff Putz: Actually Jason Fried was a trailblazer here. He tried Nokia Lumia for a few months (but switched back to iPhone). He inspired me to check out the alternatives. The only argument I’ve heard for iPhone experience over Android is when doing group text messaging with other iPhone users. Being able to see that your message was delivered, when it was read, etc. is handy. There are third-party options for the read-receipt functionality, but nothing built into the OS. Well, I would like to say this is one of the best post from 37Signals in many months. Very informative. Congratulations. FWIW , Jamie and I group text a lot and his Nexus 4 has totally ruined our awesome and hilarious threads with Ann. (Ann and I both have iPhones.) Jamie has now begun emailing Ann and me instead of texting, which changes the tone of whatever he’s bothering us with, so neither Ann nor I respond to these emails. Our friendships are basically over. These are all great reasons for Android, but we will still make fun of you, Jamie. Another important note about Photo Stream – it only stores up to 1000 photos for 30 days. It is NOT a permanent online storage of your photos. Photo Stream is used to easily back up your photos to other devices, not to store them in the cloud indefinitely. This is a common misconception – even amongst Apple Geniuses (in my experience). I own an iPhone. I own an Android. They’re both for development. I USE a Windows Phone and absolutely love it. Does everything I need, does it quickly, has a small form factor so I can easily carry it in my pocket, takes excellent pictures, was free with a two-year plan. I will be hard-pressed to switch to anything else. Hi, great article. I just recently switched myself to a Nexus 4 and it is awesome. Was wondering where you got your wallpaper, I have seen that one on different blogs but I can’t find it. If you could help me find it that would be really cool. Whoa @Jamie thoroughly impressed at how well written this was, for many reasons. @Devin: The wallpaper is from Minimal MIUI Go Apex Theme. I’m still trying to understand how theming works. You might need Nova Launcher Prime as well. @Jamie, thanks a lot for getting back to me so quickly. Now I can finally get this background. 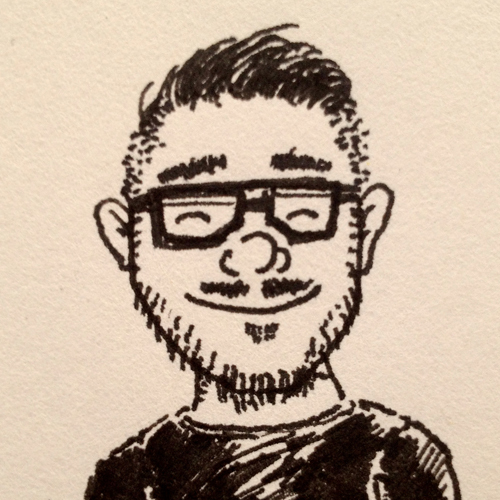 @Dmitry: It’s 4G (HSPA – whatever the hell that is) Not LTE for up to 5GB. Then it drops down to 2G. @TR: right on. If it says only available at Wal-Mart don’t worry. Just go to a T-Mobile store and ask specifically for that plan. They will also port your number over. The terrific thing is that you can buy either an iPhone or an Android and get a great experience either way. If not for the competition, I hardly think either one would be where it is today. Imagine if there still wasn’t anything better than Android Gingerbread, or if we still couldn’t set the home-screen background picture on our iPhones. I do think Apple is missing an opportunity to expand to other platforms. iTunes on Android would be an interesting beach-head in their fight against Spotify and Rdio (and Google). These companies should be adults, agree to disagree about their approaches, but still work together to make great consumer experiences. Thanks for the post Jamie. I am a iPhone user, and I love my Apple products, but I am getting disenchanted with them. There seem to be more and more problems and less and less answers. I am hoping that Apple will get a clue and improve upon what they have. But I am starting to think they don’t care. My friend has an Android and I noticed, it’s works faster than my iPhone with less lag time. I can’t afford a switch right now, but it’s looking better all the time. Nova Launcher + Nexus 4 is a fantastic setup. Communication apps are on the hidden Home dock (phone, text, chat). - Wallpaper is worth displaying! My home screen is very pleasing, clean and kindof “magical”. - I dawdle less, I remember my intent when I unlock my phone. - I am not distracted; I found myself opening my phone for one reason – but being distracted by one app or another. @Fred I would personally not advise a Samsung phone. Not for their build quality or speed, as I’m sure they’re fine if. However, you don’t get Android, you get Samsung’s version of Android. Just this weekend I was over at a friends house, he has a Galaxy S3, I have a Nexus 4. He was looking for a way to play music (streaming his own). I immediately pointed him to the standard Android application (Play Music) as I love how it integrates with Google Music. But, to my surprise, it was missing. Samsung decided it was better to replace it with its own app. So I went looking for it on the play store (app store equivalent), but it was missing. I knew what this meant, but I opened up the website version of the play store anyway, just to make sure. The website version of the store shows a popup when you click the install button, listing your Android devices. However, all of them were grayed out. Visions of a legal agreement sprung to mind. Not only does Samsung decides which apps are best for you, it also forces you to use them. So much for freedom of choice. Also, imagine that, in a month they decide to add a feature to Android you really want. Tough luck for you, you’ll be waiting for months before you get it because Samsung will have to update its version of Android before it can be send to your phone. In my eyes this approach is very similar to DRM. You pay a premium price, then rob you of your freedom and annoy you with it. In the case of a Samsung branded Android phone, you pay for it by accepting their branding/marketing/set of rules on top of a plain vanilla Android version. If you want a handicapped version, buy a Samsung (or any other brand that decided its in your interest to annoy the s* out of you), if you want Android in all its glory, buy a Nexus. You’ll even save money doing so. Google now seems interesting but Google knowing that much about me and my schedule is a little scary. No, scratch that, very scary. Apple I trust more with my privacy and if they released a similar feature I would love it but coming from a company that sells me, that is too much info going to their servers. I fear a few years down the road when ads aren’t cutting it for revenue ansd they start data mining everyone who has grown dependent on google now info for advertisers. The next generation of junk mail will be born, only you won’t be able to escape it as it knows where you are going and when you’ll arrive. Apple brought me the modern computer GUI, the first mp3 player that worked, the break through touch interface that everyone quickly “borrowed”, and now the first tablet that is usable. I totally get those gadget people that always want the device that works the best. I concede the iPhone isn’t always the best phone, but why would I switch from a company that consistently delivers the future? For a tactical feature or two? Despite what Jobs said, I don’t buy the best product. I buy the best products from the best companies (Les Schwab, Costco, Georgetown brewery, etc). Unless something egregious happens, there are select companies where I’m a customer for life. Apple has been good to me and I reward them with my business. Google simply doesn’t reach that standard. Surprised, given your history, you would so quickly jump ship for what seems like minor functionality issues. @TwangisKahn: I didn’t set out to switch immediately. I tried out Nexus 4 because I was curious about Android. Once I learned how to use Android (took about 30 days) I was set. What I learned (and reflected on) is sometimes it’s just very minor things that push a customer into a competitor’s direction. There are always compromises, but these 4 things I outlined above were important to me. You might totally disagree because what’s important to you is completely different. I’m still an Apple fan (and long time shareholder). So I hope they keep rocking. I bought the iPhone in 2007, and replaced it every year with the next iPhone for free. How? Simple: I sell my old iPhone for more than the new one costs ($275 for first iPhone, $200 for iPhone 3G; $350 for that and $200 for the next, yada, yada the iPhone 5 for $300, and got $375 for the 4S.) Try that with an Android. @Rance: How are you getting your iPhones for that cheap? A 16 GB (the cheapest) iPhone 5 is $649 unlocked and $199 for a two year contract with a ~$200 cancellation fee. @Jamie, I’m actually surprised by how smoothly your transition has gone. I had to chuckle at the mention of cloud music buffering and Bluetooth issues on iPhone, as these are both longstanding complaints of mine with Android. All of the Androids I’ve owned (and there have been many, I’ve had them since the T-Mobile G1), and my wife’s phones as well, have randomly un-paired from other Bluetooth devices, locked up on streaming from Pandora and Slacker, and just plain gotten flaky in one way or another. I always assumed the “other side” had it better on these problems, but it seems that none of the smartphones are quite living up to their promise yet. One other note: as much of a Googler as I am, I will never (again) use their music services. It completely blew my mind to discover that they impose a download limit on music purchased through Google Play (2 downloads per physical file). To add insult to injury, the only way to download music from their cloud on a PC is as a zip archive of an entire album. Not at all friendly to those of us in rural areas with metered bandwidth. Meanwhile, Amazon’s digital music offerings have steadily improved. Better prices, no download limits, huge selection, consistently high MP3 quality, and browser-based streaming. There are a few things that Google is decidedly inferior at, and IMO music is a glaring example. I used to own an Android phone (Galaxy S2), but switched to an iPhone 5 recently. I can see that Android has come a long way and does give iOS a run for its money in a lot of areas (I miss my enable/disable wifi tethering widget). However, my prevailing opinion of Andriod is that you tend to have to “manage” your phone a lot more, such as shutting down background applications/services and turning wifi, data, Bluetooth, locations services etc. on/off via the notification tray. Also when I download apps I have to read through a barrage of security notifications (this app needs permission to X), why does this free wallpaper app need permission to read my contacts!? Then my of my friends suggested I could just install an Anti-virus app (sigh). There is a sort of liberation that comes from using a closed, controlled system where everything is taken care of for you, it lets me concentrate on more important things. I currently own an iPhone 4S and a Galaxy Nexus S as my phones. From what I seeing, Android is catching up with iOS, in term of speed and stability. But there is one catch IMHO, in order to feel that ‘power’, you need to go with Nexus devices. Maybe the basic problem in Android is the ‘fragmentation’ is reaching user experience level, because each manufacturer has their own version of Android. Glad to hear it! It’s indeed amazing that you can get an industry-leading super device (Nexus 4) for $350 with NO contracts, pop in your SIM card, and be up and running in 10 minutes. You just literally sign in to your Google account after turning on the phone. You don’t have to put any handcuffs on as with the iPhone & Apple products. You can use a variety of apps and markets, not just Google’s products. Do you use any VOIP apps, like Groove IP to make calls over data? Seems like a natural fit. I’m considering going to a plan like this one, but I may need a bit more minutes from time to time. 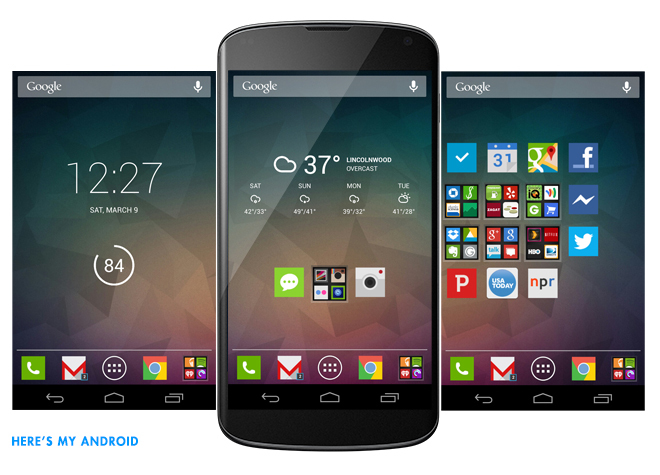 @Ben, Galaxy Nexus 4 seems to be really good phone at extremely affordable price. But I guess it’s too late to get it now knowing that in less than 3 months time, a new Nexus phone will be around. I am still waiting for iPhone-sized Android phone with long lasting battery life. I’m surprised no one has mentioned the tweaking bliss of jailbreaking iOS. In my experience, some of the cleverest software ever, filling in all the little design holes Apple must perforce alway leave — a working clock, the amazing new app switcher Auxo — as well as the major oversights and annoyances (c.f. PasswordPilot.) Long live Cydia, evasi0n, and, frankly, that “each manufacturer has their own version of Android”? That’s just insane. And not in the good way. Agree, Photo Stream will take up much space of all devices. My pool 16GB iphone is always out of storage space. I have an Android – Samsung Galaxy SII, what’s the assistant? I was lost on that. What am I missing out on? I want a better-than-Suri assistant. Please help! 1) Android comes in all sorts of devices, so I strongly recommend you get one with decent hardware specs. Those low spec, cheap models (under 1ghz cpu for instance) really erode the user experience as the device can’t power the OS to where it needs to be. 2) Our entire sales organisation uses both Android phones and Highrise CRM – while there’s an official 37 Signals iOS app for Highrise, Android seems to be the poor cousin being stuck with the 3rd party app Rooftop – possibly the worst, most useless, frustrating, broken piece of crap development I’ve ever come across. The salt in the wound is they charge you $5 before you experience how truly useless it is. My hope then is, now Android is gaining traction within 37 Signal’s team, there’s an official Android app in the pipeline. Please please please make it so – or at least a mobile browser optimised version of the website?